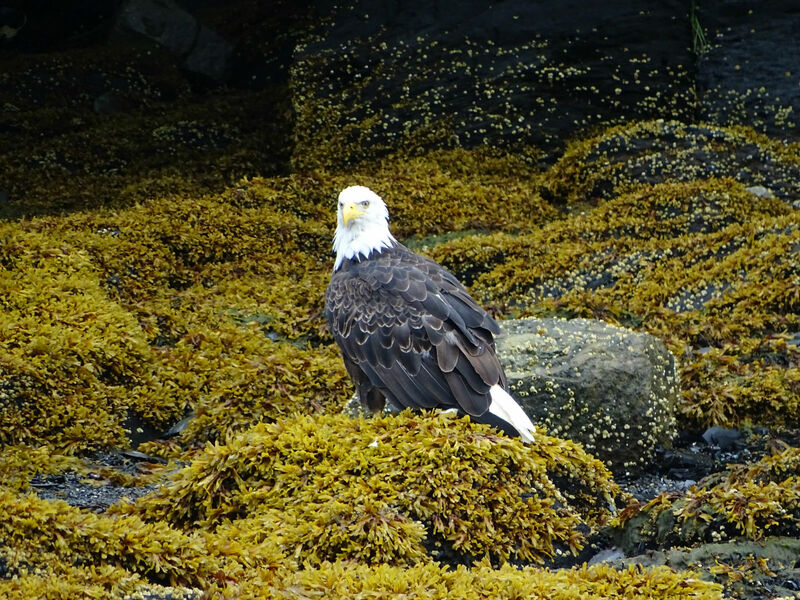 We are aboard the Norwegian Sun on an Alaska cruise, in Juneau a whale watching tour is on the program. As we wanted it to be a bit more private, we did not book an excursion with the ship, instead directly from home with Internet research. We came upon Harv & Marv’s, who had the best reviews and reserved the 4 hour tour for $160 per person. 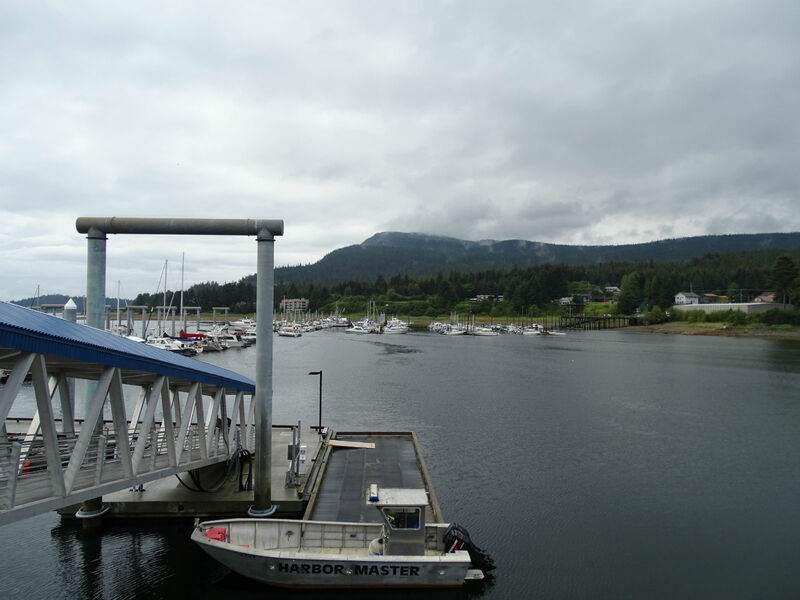 We are punctually picked up at the ship and on a 20 minute drive are taken to Auke Bay. There we board our boat with two other passengers and the captain, in total we are only five. Perfect! On board we are told that orcas and humpback whales stop in this region. 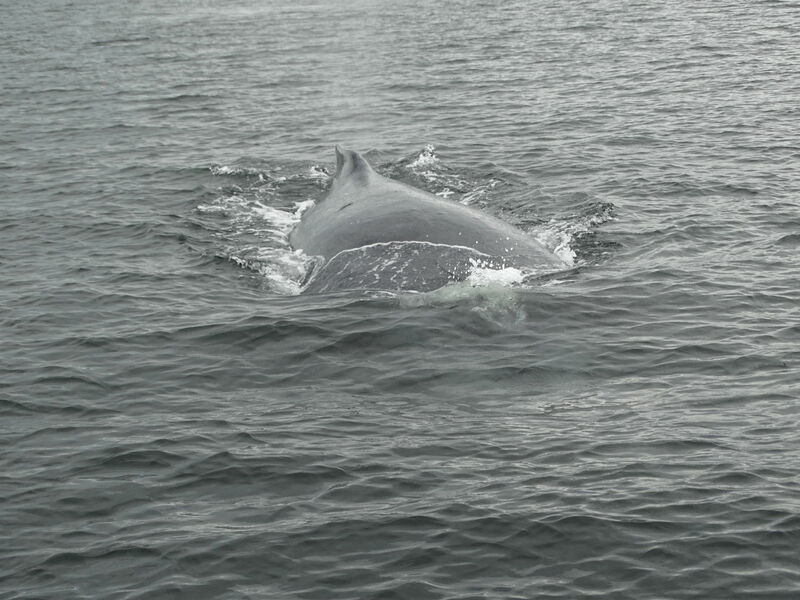 One would usually see the dorsal fin, and later, when diving, the tail fin. 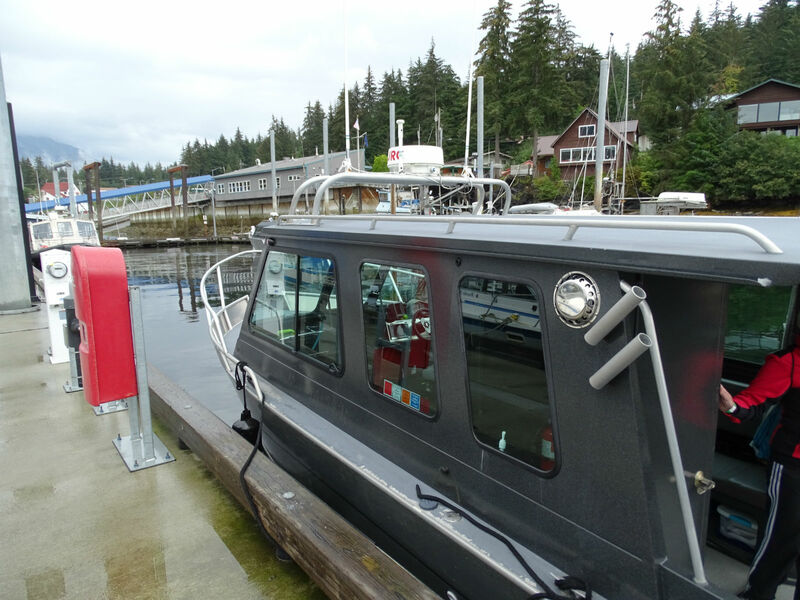 The boats inform one another where whales have been sighted via radio. 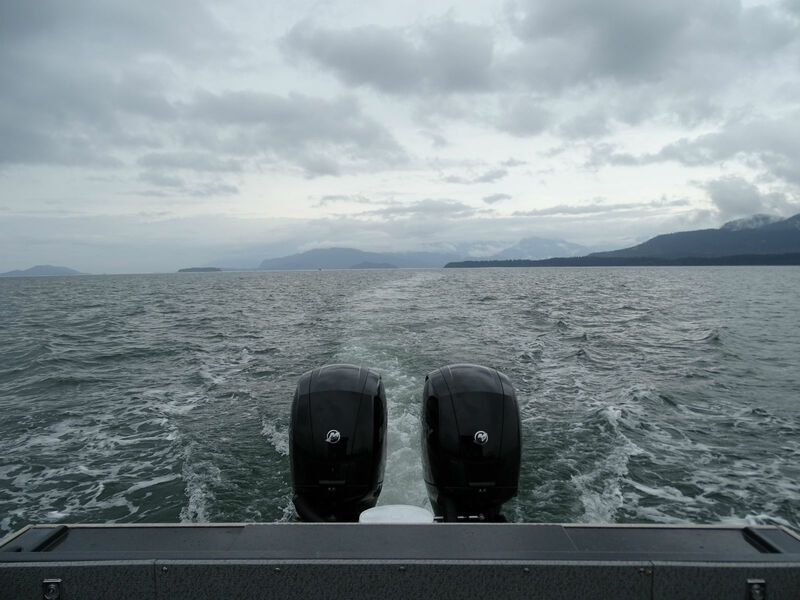 We head to a place where there should be Orcas. 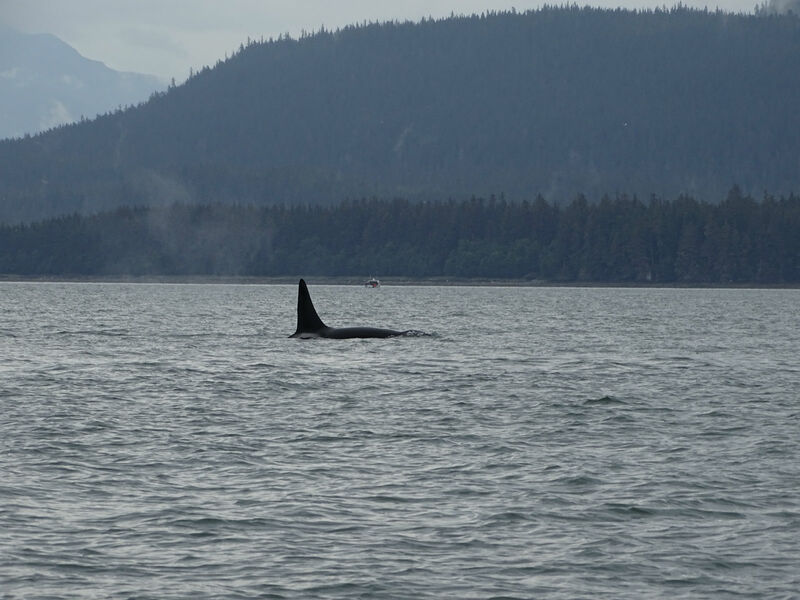 After some time waiting and strenuous searching, it is finally time: In front of us an Orca family pushes through the water. 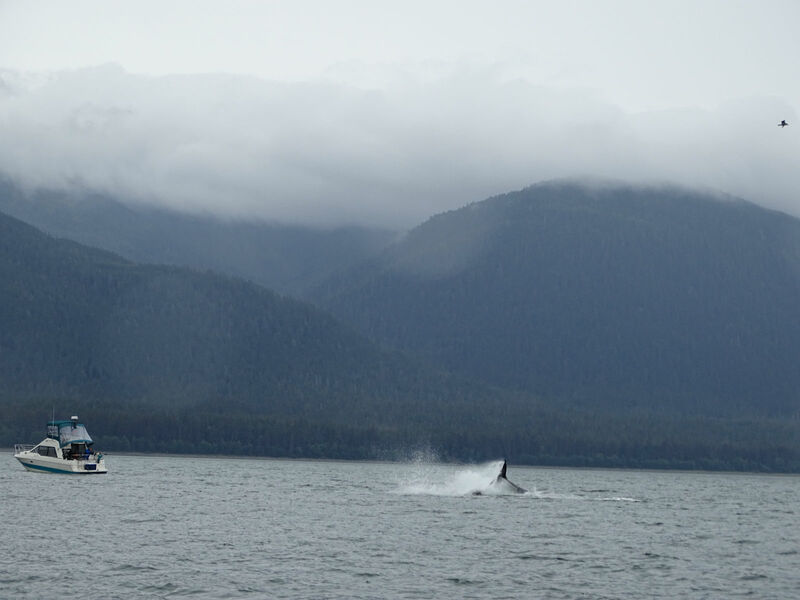 The feeling of seeing whales at close range in the wild is really indescribable. Actually, animals should only be observed this way! 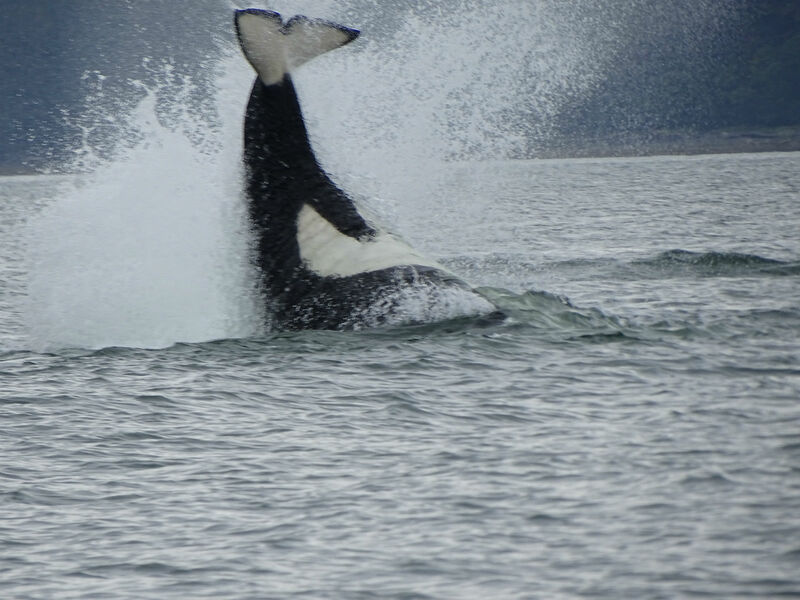 Then our lucky streak starts its course: The Orca attacks a sea lion and thereby jumps completely out of the water before he drops again. Madness! 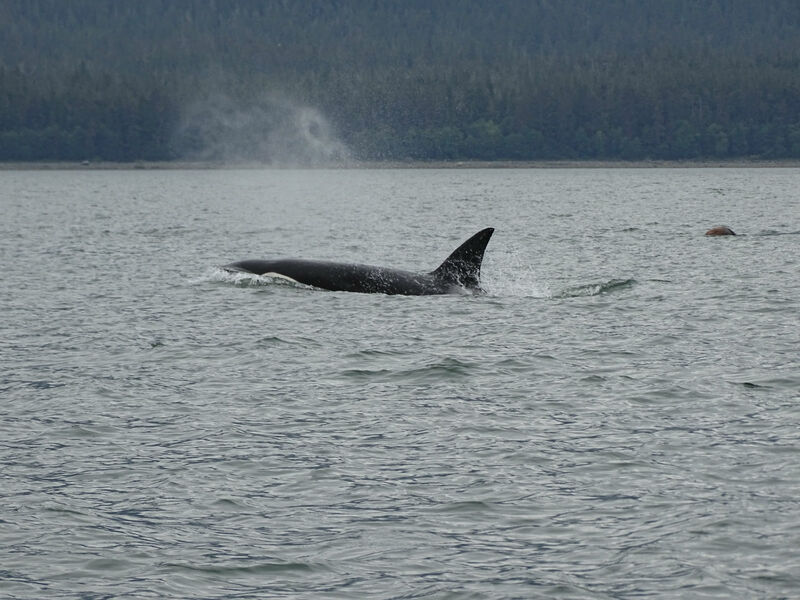 This killer whale lives up to its name. He fights with the sea lion and shows us his full size a few more times. No “only back or tail fin”! Our captain, who is himself completely thrilled, presumes that he wanted to show his young how to hunt. Afterwards, the Orcas “play” a little with the sea lion, while swimming over it several times. Certainly not a good day for the sea lion, but the natural course of things. Now, I have to apologize for the few pictures. But all this took place in a few minutes and the flying Orca only seconds. In a situation such as this, you have the choice: either you try to shoot pictures, which later can never fully show the entirety of what we have experienced in that moment. Or you can just enjoy the moment and take in every second of it. We decided on the latter! 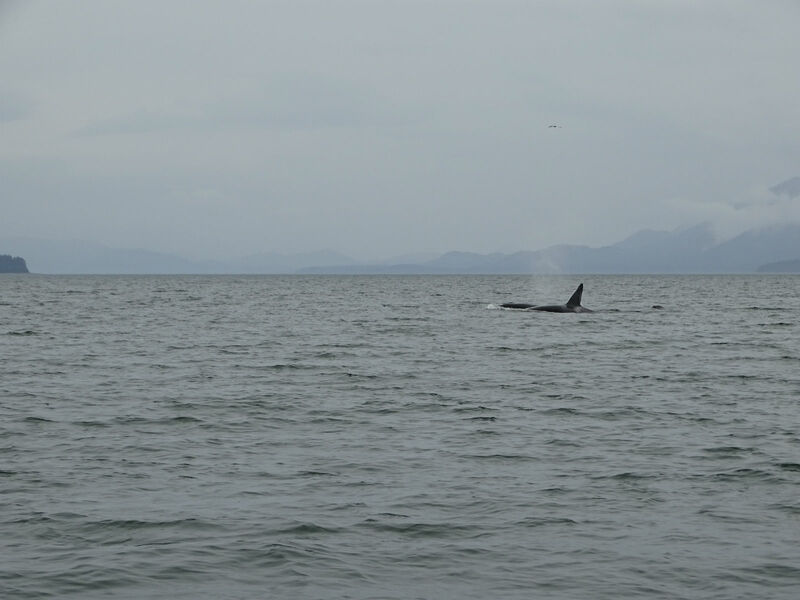 After the Orca family has “played” enough, they swim off and we slowly calm down. 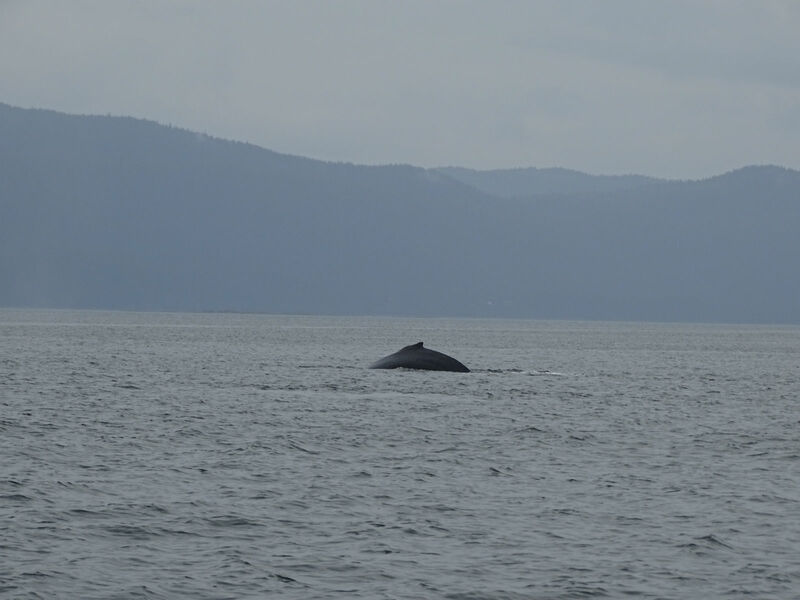 Then we drive to a spot where several humpback whales are present. 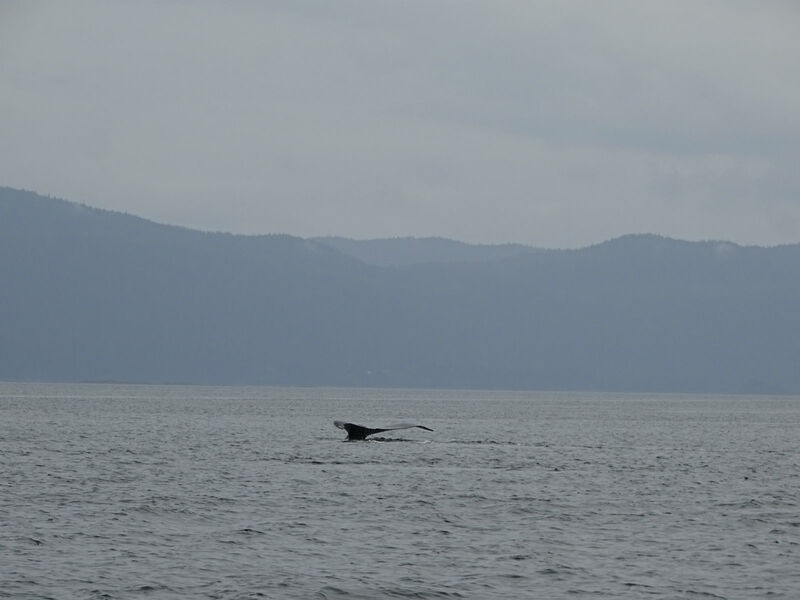 Here too we have the craziest luck that a humpback whale jumps in the air right in front of us. Unbelievable! 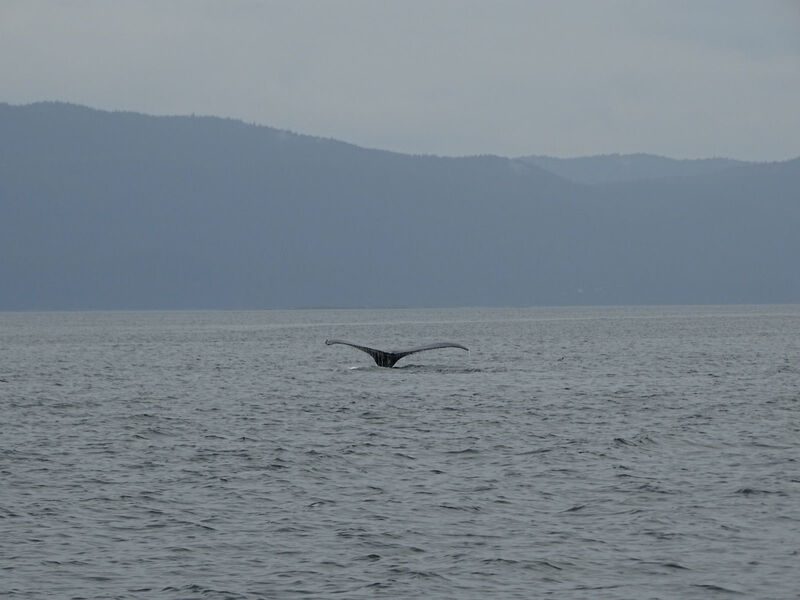 And because that’s not enough, one of these giant sea creatures’ swims directly toward us, dives just in front our boat, swims underneath, to then re-emerge just a few meters behind our boat. When a 30-ton whale dives down just before your boat and the sea is very quiet for what feels like an eternity, you ask yourself, where this colossal giant is, and your heart certainly beats faster. Our captain can’t contain himself at all and says we should accompany him on every tour now, because we are all damn lucky. 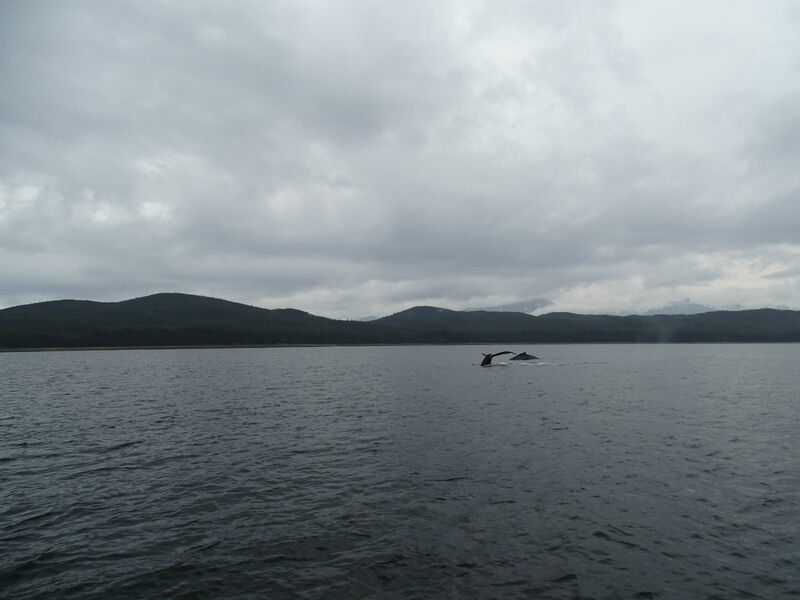 We continue to watch humpback whales for a while, and on the way back a few more swim across our path. After three hours we are also exhausted, from being so busy concentrating on discovering whales and trying to record and store every single little moment. 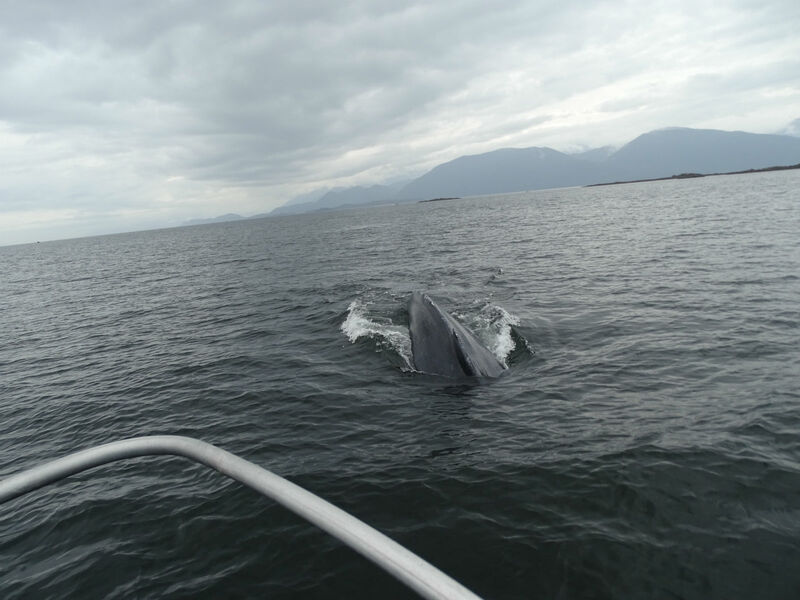 This whale watching tour is of course a highlight of our Alaska cruise. If there’s anything we want to complain about, then it would be that there very little information on the animals was provided, but that was perhaps due to the excitement. 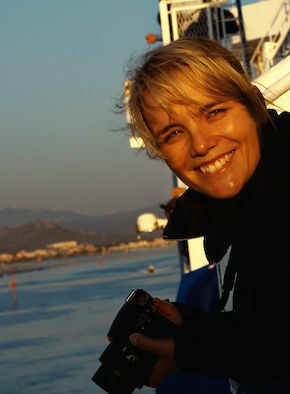 The great thing about this tour was the naturalness of it. The animals were not lured with food or sound. 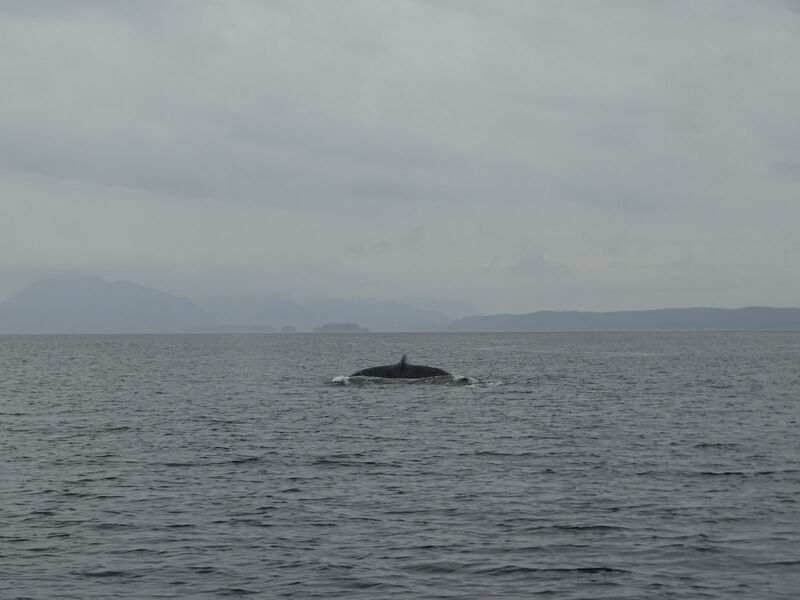 We went out, looked for whales and watched them in their natural environment. And we were lucky enough to be in the right place at the right time! A wonderful day!